The plea filed by Nath through advocate Varun Chopra says directions should be issued to publish the voters' lists in a text format as per rules, instead of the PDF format. 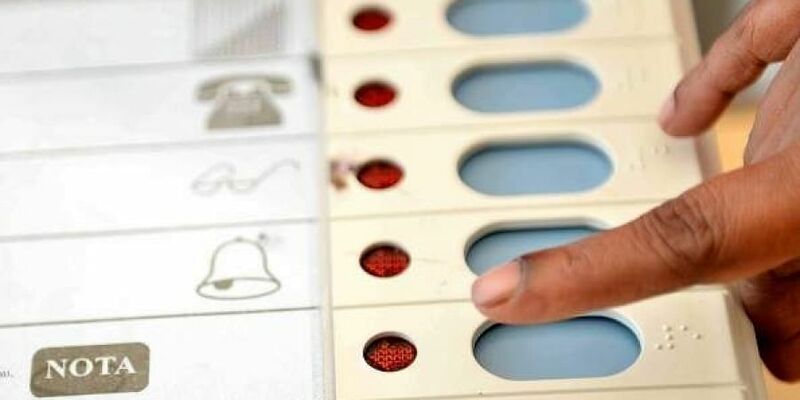 NEW DELHI: The Supreme Court is likely to pronounce Friday its verdict on pleas of Congress leaders Kamal Nath and Sachin Pilot, seeking random verification of VVPAT machines and the voters' lists in the text format ahead of the upcoming Assembly polls in Madhya Pradesh and Rajasthan. A bench comprising justices A K Sikri and Ashok Bhushan had on October 8 concluded the hearing, during which senior lawyers Kapil Sibal, representing the Congress leaders, and Vikas Singh, the counsel for the Election Commission of India (ECI), had traded charges. The plea filed by Nath through advocate Varun Chopra says directions should be issued to publish the voters' lists in a "text format as per rules", instead of the PDF format, and expeditious decisions taken on all complaints before their final publication. The senior Congress leader has also said a direction should be issued to the poll panel to randomly verify the Voter Verifiable Paper Audit Trail (VVPAT) slips with votes cast on electronic voting machines (EVMs) at 10 per cent randomly-selected polling stations in every constituency. The leaders have alleged duplication of voters in the lists and sought a proper redressal of grievances to ensure free-and-fair elections. On September 18, the poll panel had, in its affidavit, justified providing the draft electoral roll in PDF format in Madhya Pradesh without the pictures of the voters and said it was done to prevent manipulation of the electors' data. It had sought dismissal of the petition filed by Nath alleging duplication of names in the voters' list by claiming that it was "not maintainable", "completely frivolous" and "an abuse of the process of court". Earlier, the top court had agreed to examine the pleas of Nath and Pilot alleging duplication of names in the voters' lists in poll-bound Madhya Pradesh and Rajasthan and sought the response of the ECI and the state poll panels of Madhya Pradesh and Rajasthan. Senior lawyer Vivek Tankha, appearing for the leaders, had said directions should be issued to publish the voters' lists in the "text format as per rules" and expeditious decisions be taken on complaints of duplication in the lists before their final publication. It was alleged that according to a survey, there were over 60 lakh fake voters in Madhya Pradesh and similarly, in Rajasthan, there were over 41 lakh duplicate voters. In Rajasthan, the poll panel had added 71 lakh new voters, the plea said, demanding that directions be given to remove inconsistencies and conduct free-and-fair elections.